The mid-20th century was a time when hopes were at their highest. Technological developments were bustling forward, and the new world was just barely visible in the distance. But this time also presented a dilemma of sorts. The test of this forthcoming era was to be whether industry would foster comfort or stifle it. What makes the Loft series so complete? At first glance, it displays a pleasant linear design with an external tubular stainless steel frame. 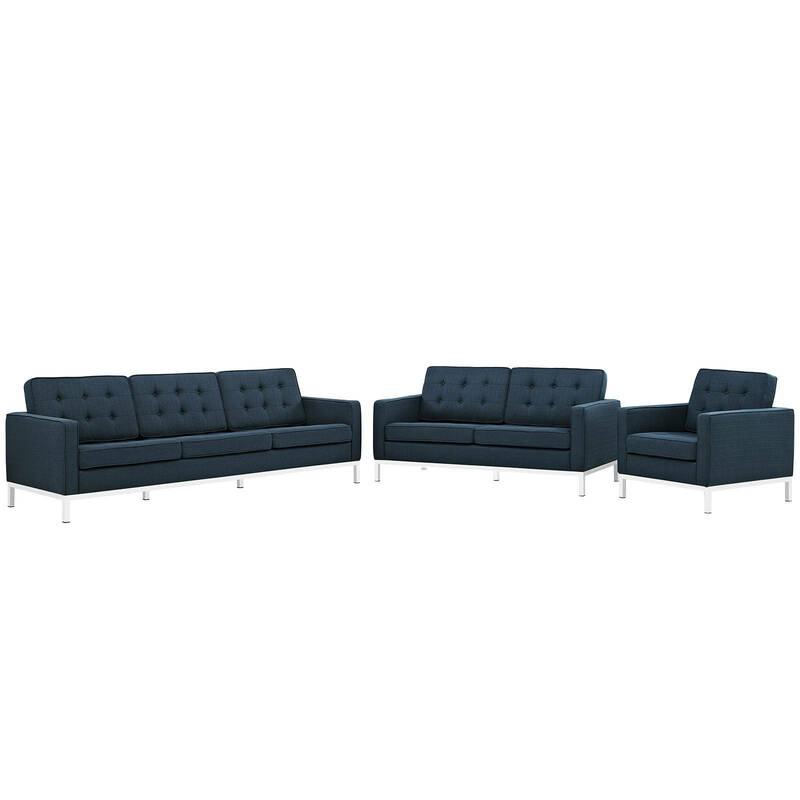 The back and seat are tufted and buttoned to enhance the overall richness of the piece. But can these aspects be said to define the totality of a classic? The answer then must be something profound. A thought that serves as representative of that era, while matching the sentiments of our present age. Our suggestion is that the Loft series conveys the potential of progress. From amidst the steel base, a comfortable seating experience is attained. From out of the exponential surge of technological growth, comes peace and solace. Perhaps this is why Loft is the sofa series of choice for so many Fortune 500 companies. Aside from its iconic feel, the set is symbolic of a time when technological innovation could do no wrong. When "faster" was seen only as something positive. The Loft series is the preferred choice for reception areas, living rooms, hotels, resorts, restaurants, and other lounge spaces.